Legal malpractice cases almost always require the Plaintiff to use an expert to testify as to how the lawyer being sued fell below the applicable standard of care required of an attorney. The lawyer being sued for malpractice must then choose an equally or more qualified expert to rebut the expert opinion, if appropriate. Expert testimony is required when the subject relates to the legal profession in a way that is beyond a juror’s common sense apprehension. Parties involved in legal malpractice suits must consider factors other than just the area of practice in which the alleged misconduct occurred. Parties must consider the experience of the attorney, how well will the attorney present to the jury, whether the attorney has testified in trial before, and perhaps most importantly, is the attorney that will testify credible. The rules of evidence require that a lawyer who will testify as an expert be qualified “by knowledge, skill, experience, training, or education.” Being admitted to law school, graduating, and passing the bar may or may not meet the requirements to take the witness stand as an expert. Your expert should have the experience to be believed. Your expert must have more than academic familiarity with the law and with the applicable standard of care, and your expert ideally should have practiced in a similar court where the underlying legal malpractice is alleged to have occurred. 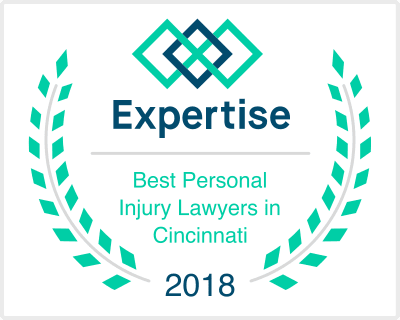 Your expert must have some experience practicing in the particular area to be able to give credible testimony, whether it be on behalf of the plaintiff or on behalf of the defendant. Legal malpractice claims will be based upon a problem alleged to be caused by an attorney practicing in a specific area of the law such as criminal defense, real estate, probate, personal injury, overbilling for legal services, or business disputes. At Phillips Law Firm, Inc., we have testified as expert witnesses on many different areas of law, both for Plaintiffs and Defendants, where we have determined it was appropriate to do so. We are not “hired guns,” and we will not accept every proposed assignment that walks in the door. We evaluate every case objectively, and then give an honest appraisal of what our testimony would be as to the standard of care, and if appropriate, damages caused by the legal malpractice. We have also testified in overbilling for legal fees cases, both for plaintiffs and defendants. If you need an expert witness on a legal malpractice case, and you would like our attorneys to review it for possible expert witness testimony, Plaintiff or Defense, contact us. Every case is unique, and will have to be evaluated based upon its own facts and circumstances.